I myself have had my battles with Starbucks. It’s a difficult habit to break (though after writing this column, I’m going to give it a try). I can tell you this, though, both from my experience and from that of others: When you break the coffee habit, you will feel your own power and energy and be in touch with your own natural energetic rhythms. You may even find that a caffeine-free existence is a great boost to your weight-loss efforts. An estimated 85 percent of Americans drink coffee, tea or soft drinks. However sadly, most of them are unaware or simply ignore the fact that there is a downside to caffeine consumption. High doses of caffeine can cause anxiety, dizziness, headache and can also interfere with normal sleep. It has also been said that too much caffeine results in an increase in smoking, especially for young women between 18-22. And of course, it leads to weight gain. Therefore, if you want to maintain good health and are planning to shed a few pounds, it is best to restrict the intake of caffeine in your dieting menu. And — it’s not good for weight loss. There are two basic reasons coffee is a problem for the person trying to lose weight. (It’s no bargain for the person who isn’t either, by the way). The first reason is psychological, the second physiological. Coffee fits neatly into the receptors for a brain chemical known as adenosine, which is partly responsible for calming you down. 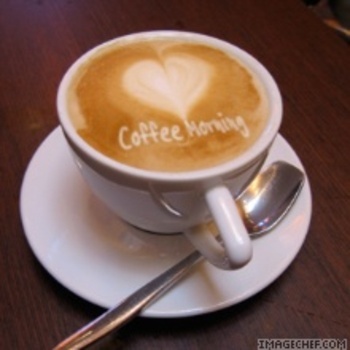 By interrupting the activity of adenosine, coffee makes you feel awake and wired. You may think that’s a good thing, but consider that virtually every study of PMS has implicated caffeine as a major culprit. The added stimulation and nervousness from the coffee makes you feel edgy at exactly the time that feeling calm would be a blessing. such as magnesium, potassium and sodium and uses up a fair amount of vitamin B1. Not only that, the coffee plant itself is a virtual repository for toxins such as pesticides and other harmful chemicals. (If you still insist on drinking it after reading this article, consider buying organic). And it can raise blood pressure and interfere with sleep. One of the best reasons to give up coffee comes from my colleague, Dr. Barry Sears, who points out that if you are “running on empty,” getting your “energy” from artificial stimulants like caffeine, you never really get to understand the effect your food is having on you. You never know whether your food is producing energy and alertness or tiredness and fatigue. You’re masking the effects of your eating style with an overpowering stimulant. And that’s keeping you from valuable knowledge about what foods work for you and what foods you ought to stay away from. And when blood sugar levels are high, large amounts of insulin (which regulates your blood sugar levels) are dumped into your blood stream. Now, what can insulin do with the excess glucose (sugar)? The easiest thing for insulin to do is to store it in your body as fat. What can you do if you cannot simply live without coffee? You can attempt to restrict caffeine if you are dieting. Do not take more than 2 mugs every day. Avoid eating carbs with coffee. You must also exercise for at least 3-4 days every week to burn those extra calories. Regularly walk for at least 30-40 minutes. Before we build or modify our own diet let’s divide the major diets into 4 groups and examine how they feel about coffee. There are other diets and there are diets that fit into multiple categories. This overview is not meant to be complete and is only intended to serve as a starting point to building a coffee-friendly diet. The low-fat/high-carb diet includes the Pritkin Diet, Dean Orish’s diet, and countless others. Because coffee is fat-free, this diet is the most coffee friendly. However one of the reasons fat-free diets sometimes fail is the belief that removing the fat makes one immune to excess calories. A mocha made with fat-free milk may be without fat, but it is loaded with sugars and is calorically dense. If you like the sweeter coffee choices, be aware that although the drink may be fat-free you can jeopardize your diet with too many empty calories. Most people fail to calculate the amount of fat and calories found in many drinks featured at a coffee shop. They may be packing on the pounds without realizing that their morning double latte is what is causing most of it. They may be paying attention to the foods they eat but many drinks you can get from a coffee shop will have plenty of calories in them. It is possible to have the best of both worlds though. Since most coffee shops offer plenty of selection you don t have to struggle too much to get something that can meet your needs. As the staff behind the counter what they would recommend if you are having trouble figuring it out on your own. One of the easiest ways to choose something that is low in fat and low in calories is to simply switch to regular coffee. This may be quite a change if you have been enjoying flavored drinks and cappuccino each morning for quite some time. You don t want to get regular coffee though and then load it up with flavors, creamer, and sugar. That is going to defeat what you are attempting to accomplish. 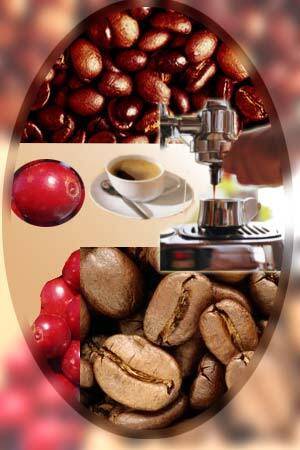 You will find though that many coffee shops offer delicious premium coffee. It is going to be much better than what you can make on your own at home. They may have some specialty blends they offer as well so you can get some variety. Ask about low fat creamers and sugar substitutes so that you can still have something that tastes good to drink. Very few people enjoy their coffee plain. There are plenty of options for you so don t get stuck on just one. If you try one type of coffee to cut calories and it doesn t meet your standards, try another one. You may struggle initially because these drinks don t taste as sweet as what you have become accustomed to. However, it a short span of time you will get used to the change and even start to enjoy it. How many times a day do you order a drink from a coffee shop? You may find you need to cut out a few of those stops each day. It can become quite a habit if you have a coffee shop in walking distance of your home or your office. Even if you are drinking low fat or low calorie drinks, the number of them will certainly add up rapidly. The size of the cups of your coffee need to be taken into consideration as well. You will notice that most coffee shops offer several sizes for your convenience. Cutting back one size can really make a difference over the course of a week and a month. Some people like to go with the bigger size as it is only a few cents more but do you really need it? If you aren t sure what all is going into the drinks you order at a coffee shop, take the time to ask. Be respectful though and don t do this during a busy rush time of the day for them. This will affect their ability to serve other customers waiting in line. Going to the coffee shop is very common but make sure you are making good choices there if you are concerned about your weight.